John joined NBC Connecticut in 2011. 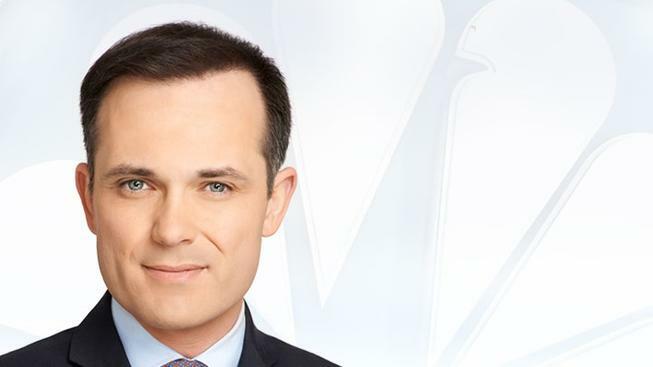 Emmy ® Award-winning reporter John Chandler joined NBC 4 New York in January 2014. He currently serves as the station’s weekend sports anchor, seen regularly on Fridays and Saturdays at 6 PM and 11 PM. At WNBC, Chandler’s sports coverage has included Super Bowl XLVIII, the 2014 Stanley Cup Final and the 2015 World Series. He has also travelled with the New York Giants to deliver live updates from the road. A storyteller at heart, Chandler was honored with a 2018 New York Emmy® for news writing. Prior to joining NBC 4, Chandler spent three years as a sports anchor at NBC Connecticut. He hosted the NBC Olympic Zone and Sunday Sports Replay, and reported from the Boston Marathon, where he witnessed the bombing in 2013. At that same time, he served as Clear Channel Radio's lead weekday sports anchor for WEEI-FM in Boston, winner of the Marconi Award for National Sports Station of the year in 2012. Chandler also spent four years at New England Sports Network (NESN), where his work earned him a New England Emmy Award for Best Sports Reporting in 2010. From the Celtics and Patriots beats to the studio, he wore many hats at NESN—and even wore skates as the reporter for live broadcasts of the AHL All Star Games. He reported from the NBA Finals and served as studio host for NESN’s live Super Bowl XLII coverage (much to the delight of the Giants fans in his family). He has worked as a sideline reporter for Notre Dame Football on Sirius/XM radio, in addition to also serving as the play-by-play voice of the Brooklyn Nets NBA D-League affiliate on NBA.com, NBA TV, and ESPN AM1450. A proud Cleveland native with deep roots within the City’s legendary sports history, Chandler began his career following in the sportscasting footsteps of his late uncle, Nev Chandler. As a sports anchor and reporter at Cleveland’s WEWS News Channel 5, he covered rising high school star LeBron James and earned two Emmy nominations for his extensive reporting. He was on the field when Ohio State won the BCS National Championship in 2003. He also reported from the NCAA Final Four, NBA Playoffs and more. Chandler is a graduate of Boston University. He resides with his wife and two sons in Brooklyn.